Being known as a Natural Wonder of the world, Halong Bay is among the most favorite landscapes in Vietnam. Especially, these days Halong Bay is much more well-known with the very good film Kong: Skull Island. For both natives and foreigners, who love discovering wonderful works of the Creator, Halong Bay is really an ideal destination. Coming to this natural wonder, you’ll not only be able to witness the stunning scenes of the nature but also enjoy numerous interesting things. For the first time getting Alova Gold cruise Halong, absolutely you are so confused about how to make your trip become a memorable experience. Today, this useful share with the subject “What to do in Halong Bay – 5 tips for travelers” will tell you know. 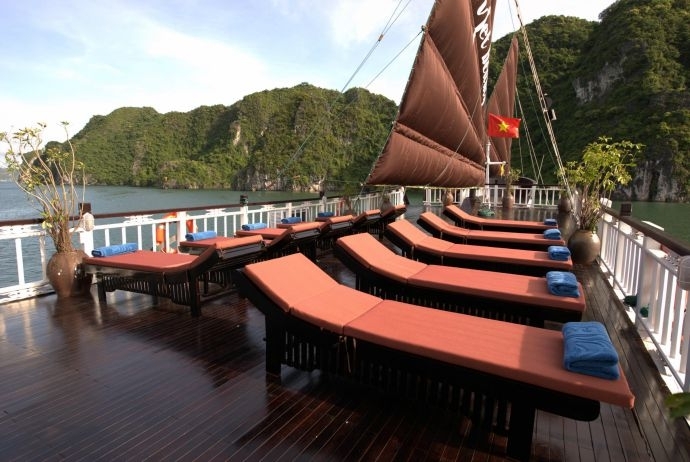 In spite of a lot of new hotels on the islands, experienced travelers still like to recommend new ones to spend at least one night on board a boat when they come to Halong Bay. Well, sleeping on board must be very interesting in some way. When sleeping on board, you could admire the Bay much closer up in a more special manner. Sleeping on board promises to bring travelers new and interesting experiences. With the coming of the night you have great chance to look at the sky with full of stars from the floating boat on the water surface. 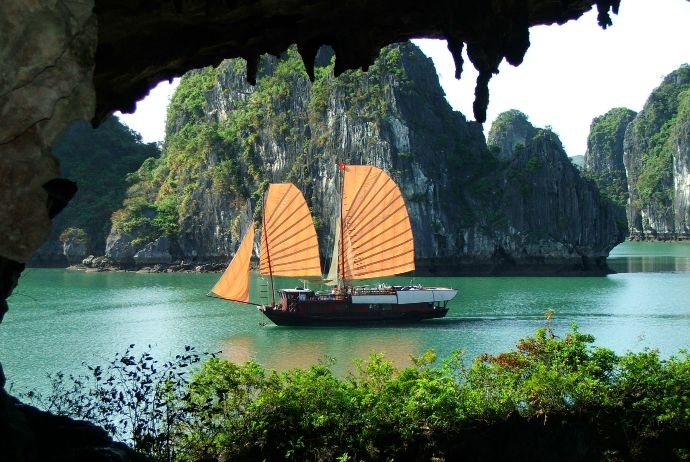 There are many types of boats available in Halong Bay, from high standard cruisers to diesel-powered junks. And the costs you have to spend for the junks are much less expensive in comparison with the cruisers. However, regardless of your choice, the tips is to try it at least one night to never regret about this experience. 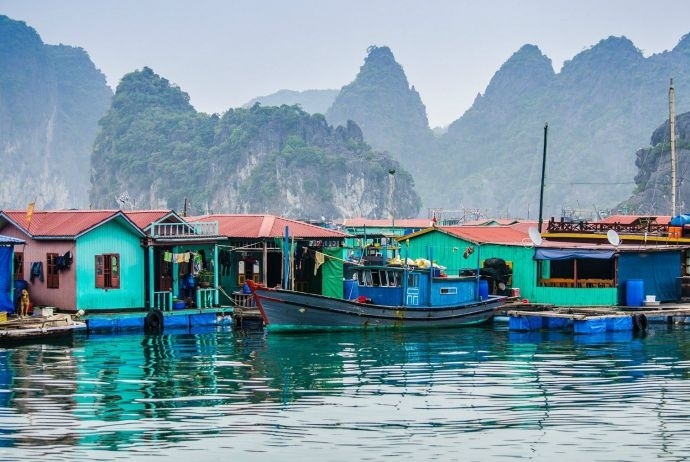 Floating village is an interesting feature of the daily life of locals in Halong Bay. 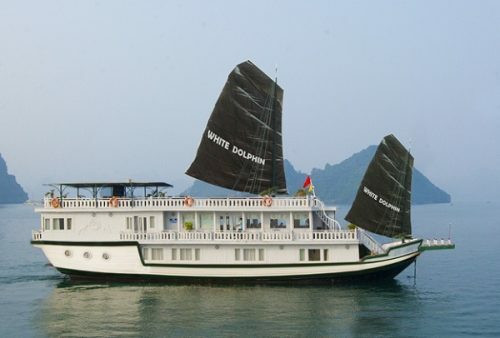 For most of travelers, a cruise on the emerald clear green water surface of Halong Bay is a unique experience. For the first time, it might be hard for you to imagine the life everyday surrounded by water. However, for a large number of traditional floating fishing families here, water world is really their second hometown. This seems to be strange but it does. Rising and falling with the natural tide, these floating villages have been warm homes to many fishermen generations. Coming to Halong Bay, you could understand more about the real life of those fishermen. Pay an attention to one of those charming villages, meet playful kids, and meet some grinning fishermen. In this way, you are experiencing of the most interesting things to do. This is one among the most interesting things, but might be one of the most costly things to do in Halong Bay. Actually, there is no better way to witness Halong from the helicopter. Despite cruising can help you view the Bay at the horizon, the view may not be spectacular and appealing as there are so many karsts as well as islands rising in the Bay. And the helicopter will allow you to reach the height of 300m above away from the water level. So, you will see almost the whole famous landscapes of Halong Bay, such as Dau Go Cave, Tuan Chau Island, and so on. Cat Ba is considered as the largest island. 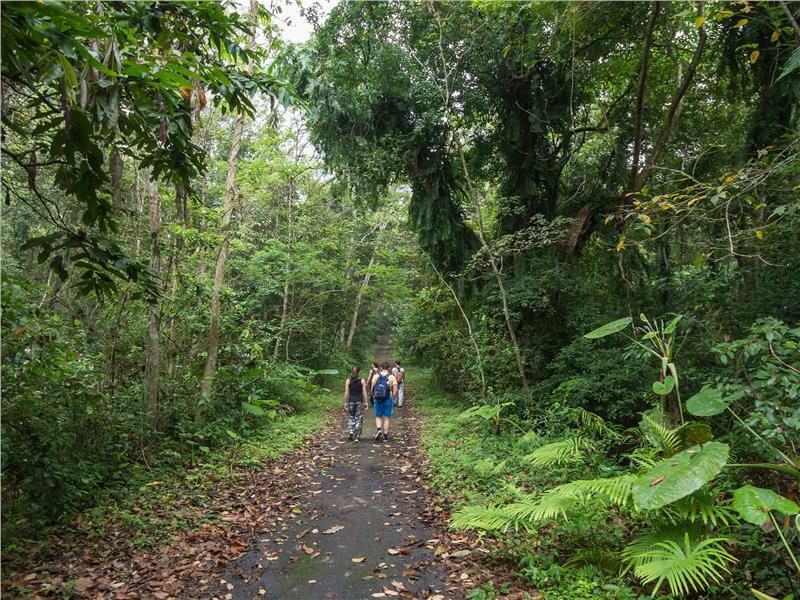 This place owns some impressive natural beauty found in the area, not to mention to the wide range of species as well as natural habitats. The best way to approach this isle is by boat, and the best way to explore it is on foot. Let yourself feel with the beauty of Cat Ba by exploring limestone hills, hidden waterfalls, grottoes and lakes; wildlife hidden in coastal forests as well as mangroves, or the underwater life. For those who like to discover nature on foot, this tip is a really good one. And there are endless options for you to experience this island in your own way. Halong Bay is not only a spectacular destination for sightseeing in Vietnam, but also is an ideal place for adventurous sports. 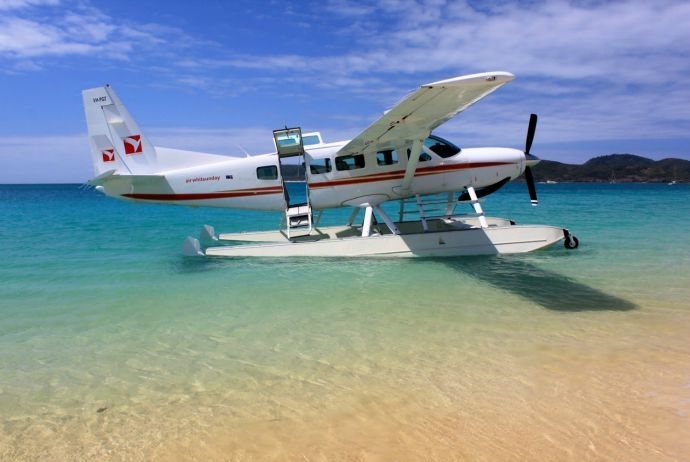 Travelers coming to this landscape can enjoy not only the boat trip but also scuba diving. 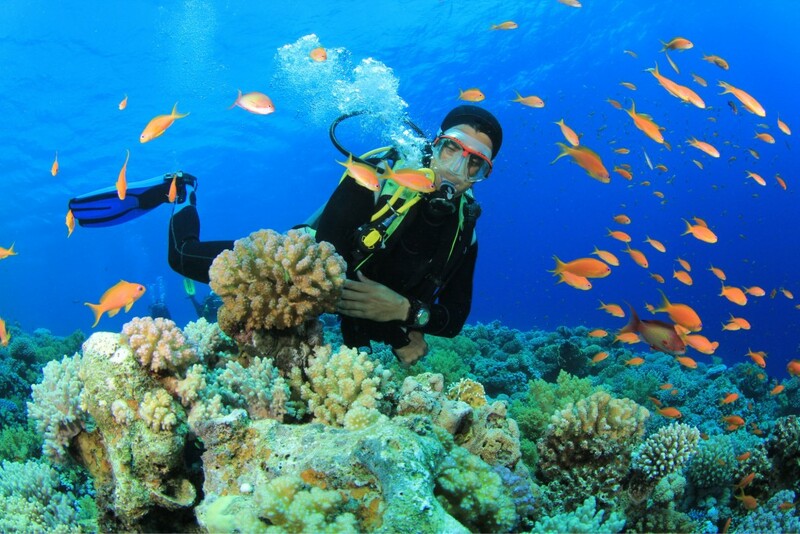 These days, scuba diving becomes one of interesting things, in particular for underwater lovers. And the most suitable period for scuba diving in Halong Bay is from April to December. Today, there are more and more kinds of new, interesting entertaining activities to serve travelers. Coming to Halong bay you will feel satisfied yourselves as any another famous place around the world. And these are five special tips for travelers who are planning. In fact, these promise your trip to Halong Bay to be more wonderful.